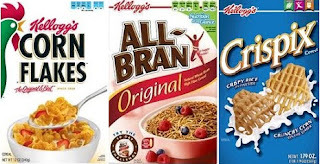 New Kellogg's Cereal Coupon = $1 a Box Possibly! Starting May 27th at Walgreens, select Kellogg’s cereals will be 2/$5 with a $2 Register Reward when you buy two. If the cereals above are include, they will only be $1 a box! Use zip code 30303 to find the coupon.